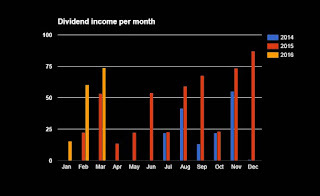 That's a great augmentation compared to last year dividends. March was a good month since my VDY ETF paid me 2 dividends. Thanks for your follow on Twitter, as well as your comment over here! Please feel welcome. I've checked out your website. Great progress. I like your way of thinking. Please keep up. If you need any help, don't hesitate to message me. Good to see that your portfolio is growing month by month. Where are you located in the Netherlands? 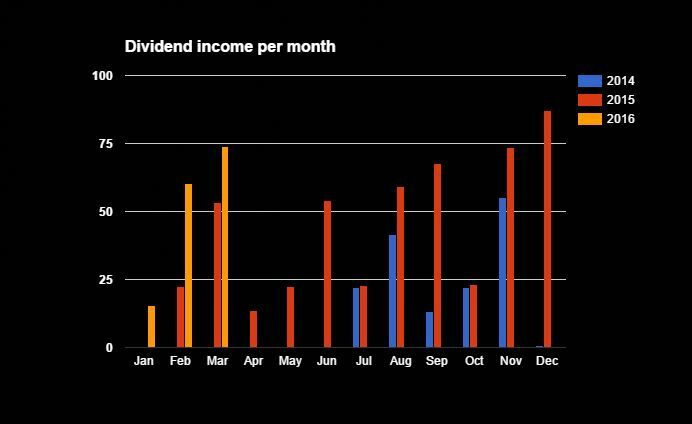 Nice Year-over-year dividend growth. Keep up the good work. NIce work divvy for starters. Great growth rate and June will be even better. By next March - you'll be beyond $150, guarantee it at this rate. Talk soon! Nice results for the month of March and great year over year increase as well. Your list contains many of the same names that have paid me in March too. Thanks for sharing.